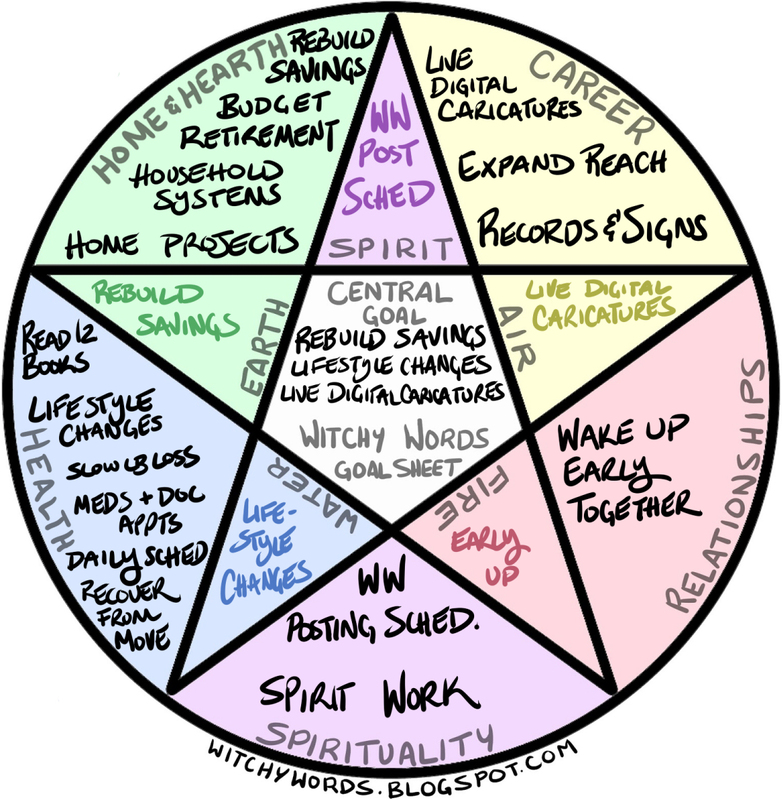 Witchy Words: My Big Three! Let's start by taking a look at my blank chart. In comparison to last year's chart, I have two less goal spaces this year! Not too shabby for everything that happened in 2016. It means that my overall satisfaction in life improved 10% since 2016 and by a whopping 35% since 2015. Wow! Now that you've seen everything I'd like to do with my year, let's plug it in to the chart! As you can see, each block has its own specialized goal. Some important goals repeat and some goals won't be calculated until the end of the year. While this looks great on paper, that is 20 separate goals up there. Twenty. That's a lot of work for one year! If I have a massive health flare or a family emergency, there's a good chance I won't be able to accomplish everything I've set out to do. As I said just a second ago, I certainly don't want to set myself up for failure. If I can't accomplish all 20 of my goals, I don't want to feel like I wasted my time. So, as a precautionary measure, I want to take a look at all of my goals and pick out my "Big Three:" The three goals that would make me feel as though I definitely accomplished something, even if all I were able to succeed at were just those three. Remember the checklist from my personal goals? 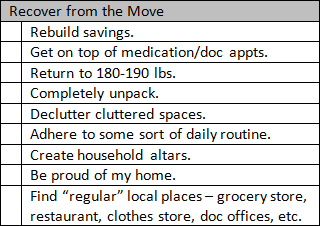 I don't necessarily need to check everything off of this list to feel like I've recovered, but if I can make a good effort, I'll be satisfied. However, just because I have three specific goals I'd like to accomplish doesn't mean I shouldn't plan to accomplish all of my goals! 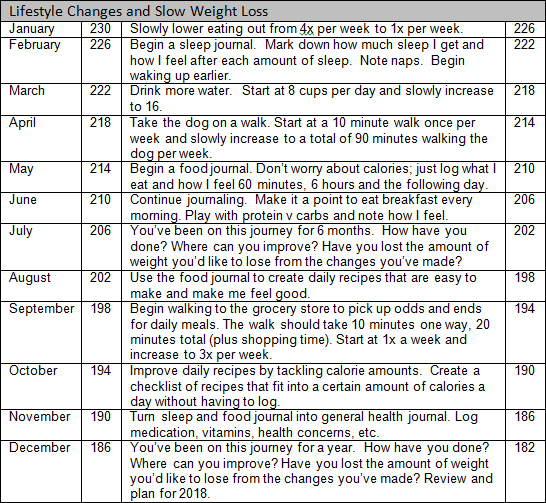 I ended each section's article with a little commentary on how I was going to track each month's goals. Here's the finalized Check-In List! Time frame is currently 0% over. Career Goals - 0% Complete for the month. Achieve x goals for expanding reach. – 0% complete. Achieve monthly records and signage goal. – 0% complete. Target Areas for Improvement [Specific monthly goal]. – 0% complete. Health Goals - 0% Complete for the month. Lifestyle Changes [One specific goal per month]. - 0% complete. Maintain Medication [Pills taken x/30 (or 31 or 29) days]. - 0% complete. 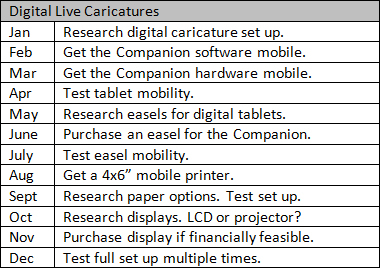 Daily Schedule [One specific goal per month from another section]. - 0% complete. Slow Weight Loss [x/4 lbs per month]. – 0% complete. Relationship Goals - 0% Complete for the month. Wake Up Early Together[x/5 days a week]. – 0% complete. This year, what I think I may do is keep this tracking silently at the bottom of my personal updates. I post those once a month, typically at the beginning of the month too. After giving you my update with pictures and a description of things that happened, I can tack this chart for the previous month at the end of it. That way, I'm not posting about my private goals and life at an overwhelming rate. Heck, I'm sure you're probably tired of hearing about goals since we're on something like day 13 in a row now. So I think that's the best solution there. But that's not the only way I'm keeping track of my goals! I of course have my primary planner as well as a secondary planner. I have two wall calendars and a marker board calendar, plus I organize my work schedule in Outlook. When I schedule my life, I don't mess around! Having the kind of brain I do, setting up multiple places for scheduling and goal work makes far more sense than having just one. The repetition and varied usage helps me remember things much more clearly. This system works the best for me, but of course, that's just me! You may find this system is overkill. Whatever you do to track your goals, make sure it works for you! And that sums up my 2017 goal posts! Thank you for your patience as we deviated from the usual Witchy Words articles for the past almost two weeks. I truly appreciate it. And to those coming along for the ride, good luck! What are your "Big Three" goals? I was looking forward to your yearly series of goals! I started reading your blog just over a year ago, and your set-up inspired me to do my own. This year I have 18 goals (mainly just because they fit neatly into a 9x3 grid). I didn't think about having a 'Big 3', but I think if I achieve at least half of them, I'll be happy! Thank you so much! Good luck on all of your goals!